The Royal Arsenal in Woolwich, originally known as the Woolwich Warren, was established as an Ordnance Storage Depot in 1671 on a 31 acre. The site later carried out armaments manufacture, ammunition proofing and explosives research for the British armed forces. It was sited on the south bank of the River Thames in Woolwich. In 1805, during the reign of King George III, at the King's suggestion, the Warren became known as the Royal Arsenal. Convict labour formed part of the Royal Arsenal’s labour force to construct a 2.5 mile boundary wall around the site. These convicts were housed on three redundant ships known as prison hulks moored on the Thames near Woolwich. In 1812-1816 these convicts were used to dig a canal designed by Lieutenant Colonel Pilkington. 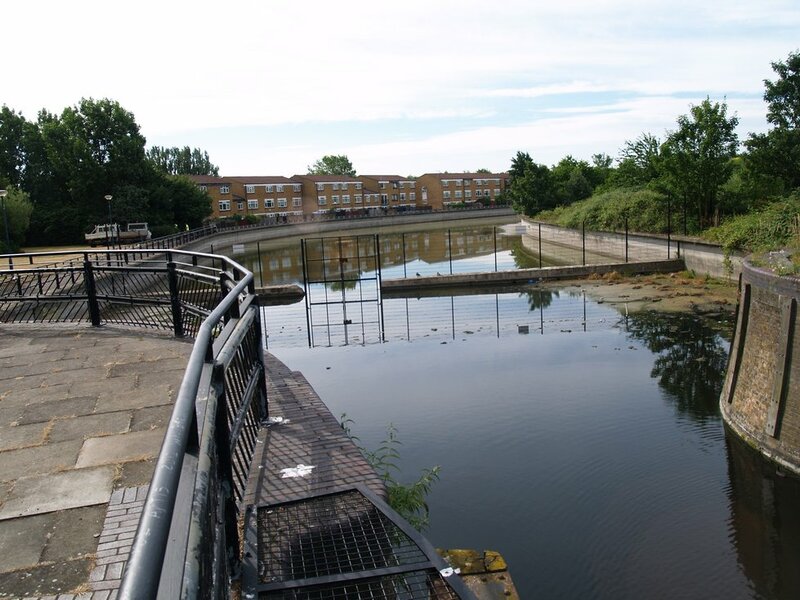 The canal was built for a dual purpose - one was to deliver materials into the the Royal Arsenal complex and the other was to create a defence boundary to the east. 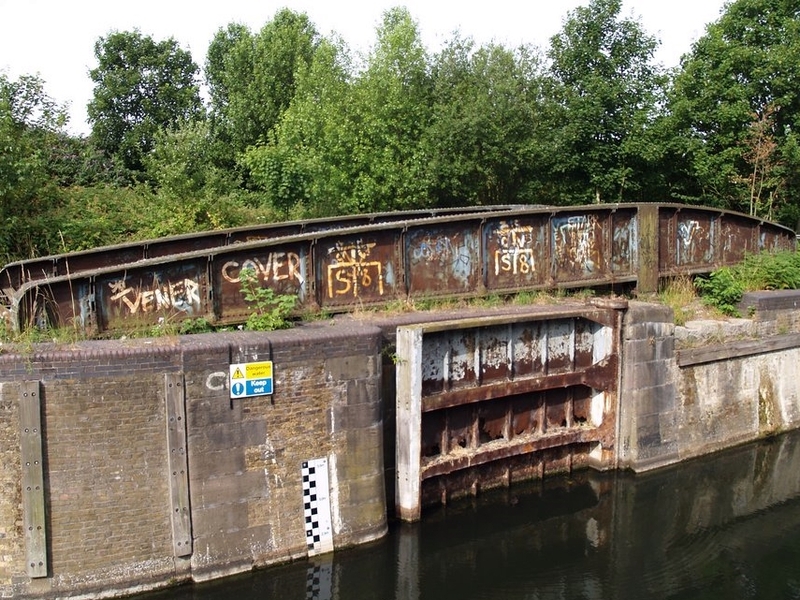 The history of the canal has been difficult to research as the layout of the complex was not shown on maps and photographs rarely taken due to the secretive nature of its work. The main traffic on the canal was from the Royal Gunpowder Mills at Waltham Abbey on the River Lea supplying the Arsenal with most of its gunpowder requirements. Military vessels came to the Arsenal to collect firepower & sundries, and transport these down the Thames to the Chatham naval shipyards where the equipment was fitted onto naval ships. Other military vessels on the visited the canal in order to have experimental or test-bed weaponry fitted. In 1931 the canal was cut back to the junction of the two arms and the whole canal closed in the early 1960’s. The canal is today known as Broadwater and is purely a shallow ornamental feature. There is rarely even as much water in there as in these photographs. Some may argue that it’s not very ornamental… The sides have been widened, concreted and walkways provided. There are no boats and no wildlife in evidence. 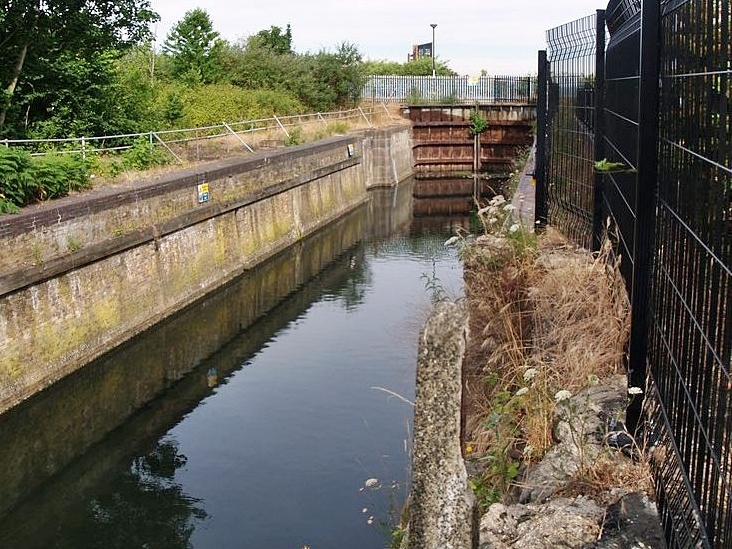 Two large mooring bollards that were used on the canal can be seen at the end of Broadwater. The canal's entrance lock remains but the actual former entrance to the canal is concreted off from the Thames a swing bridge also survives. The swing bridge was to carry the Royal Arsenal narrow gauge railway system across the canal entrance. The Arsenal had two substantial railway systems (both standard and narrow gauge) with nearly 150 miles of track and 50 locomotives.